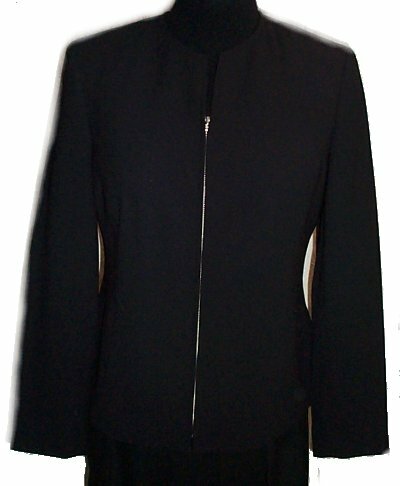 CHARTER CLUB Zip Front Career Jacket - 4P Discounts Apply ! Wonderful all season jacket by CHARTER CLUB! Short tapered fit with zip front is a bit more trendy and funky than your typical dress jacket! Fully lined! High quality polyester crepe! Drapes beautifully! Would look great at work or for an evening out or a more formal occasion! BRAND NEW for a fraction of retail! chest : 4: 35", 10: 38", 12:40", 14:42"
length : 4:23", 10:24", 12:24.5", 14:25"
condition : BRAND NEW with tags! NWT!